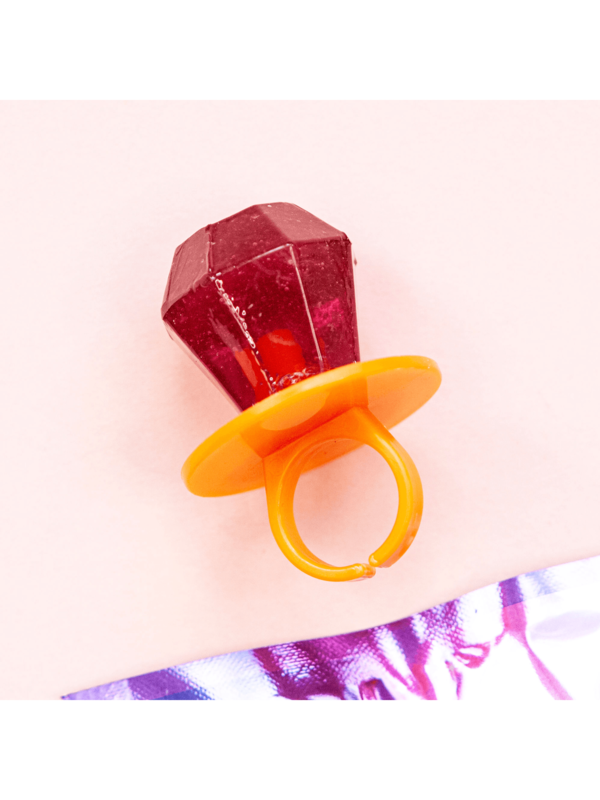 Choose this juicy sweet for your hen party bag filler. Sweets for party bags are a cheap fun option that everyone at the hen party will love. INGREDIENTS: STRAWBERRY: NATURAL & ARTIFICIAL FLAVORS, PEAR JUICE CONCENTRATE, RED 3, BLUE 1. Not eaten one yet but they arrived promptly loose packed individually. I’m sure the kids will love them in the party bags. Great site.